Wynne Plumbing and Heating offers a variety of services to meet the needs of your business. Our experienced staff will bring your project from start to finish with quality service that you can trust. 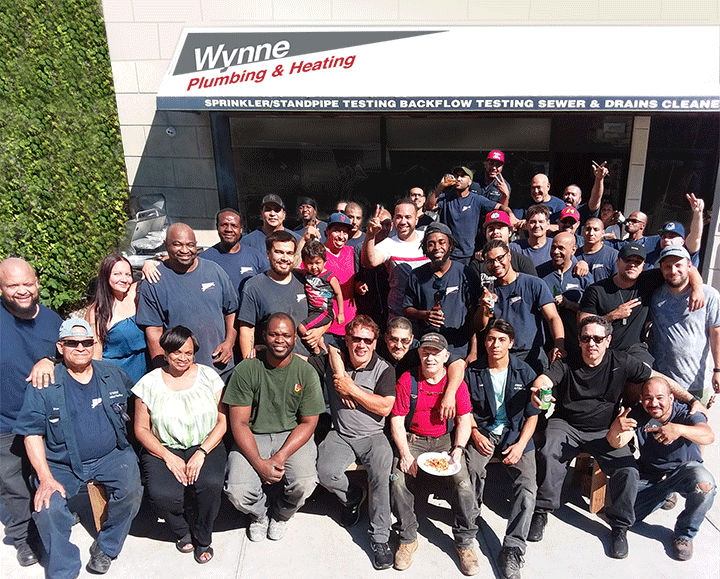 Family owned and operated since 1965, Wynne Plumbing & Heating has proudly served New York's Upper West Side, all of Manhattan, Brooklyn, Queens and the Bronx with exceptional plumbing and heating services for over 50 years. We have 17 trucks with highly skilled, fully licensed & insured crews working in the City of New York every day. Our loyal commercial customers choose Wynne Plumbing & Heating because we offer the highest quality of work and service you can trust at a fair price. Residents choose us because we truly care. Every one of our friendly plumbers and office staff will do everything possible to serve you just as quickly as humanly possible. We offer expert plumbing services to meet your every need or crisis - plus we always have dedicated crews on call, for 24/7 emergency service. Our "Stay-at Home" department focuses on plumbing modifications designed to help disabled folks and senior citizens continue to enjoy life in their homes. Aging-in-Place is easier than ever with low or no-threshold showers, grab rails and other services ranging up to complete bathroom and kitchen remodels. Wynne Plumbing & Heating Corp.